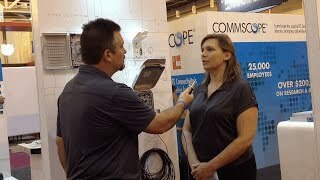 See what new products CommScope announced at the NATE UNITE 2019 show held February 4-7th at the Gaylord Texan in Grapevine Texas. 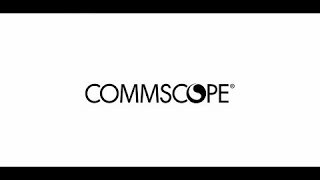 From Macro Tower top products to PIM mitigating cable accessories to Integrated small cell street poles – CommScope is Always Anticipating. Always Ahead. 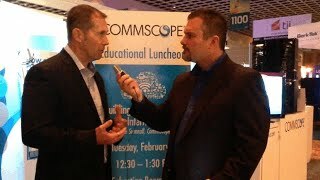 CommScope COO Morgan Kurk shares his thoughts on his first year in the role. He also talks addressing customer needs, a view of innovation, some updates with our wireless business and his view on smart cities. Retailers are seeking new ways to make shopping easier and more accessible. 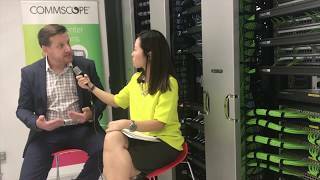 Watch the video how social shopping will impact the network and why the data center is a key enabling technology. 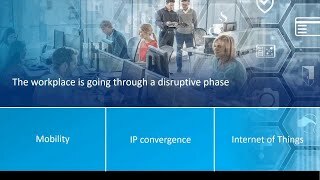 What does innovation mean to CommScope? During this year’s 2018 Innovators in Action Awards Ceremony, CommScope recognized those innovators who demonstrate the company’s best in agility, breakthrough, cost reduction, and customer impact innovations. 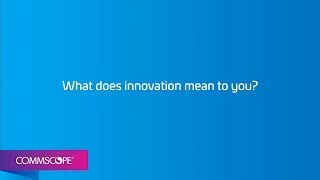 In this video, several of CommScope’s innovators explain what the term “innovation” means to them. 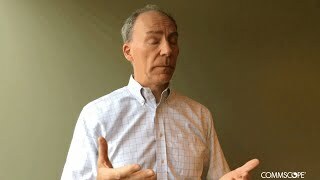 Innovation – Culture or Strategy? 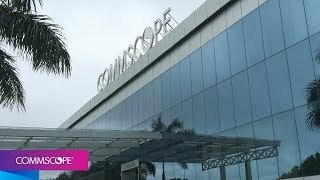 During the inauguration of our first innovation centre in Goa, we asked Morgan Kurk, EVP and Chief Operating Officer of CommScope this question: Is innovation a strategy or culture? 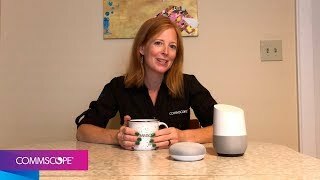 Are you using a home IoT device yet? Families are turning their homes into smart and connected homes. Devices are being used for everything and that’s putting a strain on communication networks. 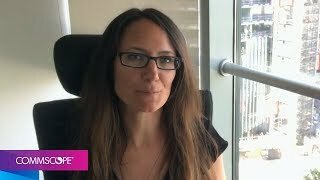 CommScope’s Melissa Strait explains how this technology is changing the way we live, work and play. High density and modularity are essentials features for Optical Distribution Frames as Central Offices need to handle more capacity and transition towards a converged architecture. 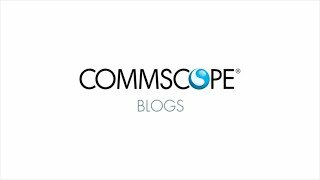 It’s Throwback Fiber Thursday – CommScope’s effort to re-post popular blogs from the last year that have to do with all things fiber. Do they still hold true? Do you see any changes? We’d love to have a conversation. Post your comments and questions below. This blog was originally posted on October 4, 2017 as part of our Top Fiber Questions series. 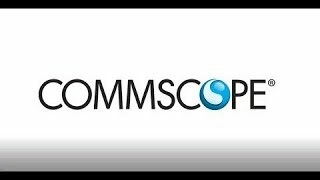 Join CommScope’s next Facebook Live which kicks off at 4 PM, BST, on Thursday. 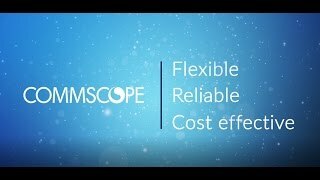 CommScope offers 3-beam lens antennas that offer wireless network operators significant advantages. When deployed in cell clusters, 3-beam antennas provide better wireless coverage thanks to tessellation. And lens antennas themselves offer unique performance benefits compared to traditional Butler-matrix models. 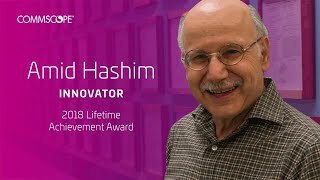 The 2018 Lifetime Achievement Award—Innovator was presented to Amid Hashim. 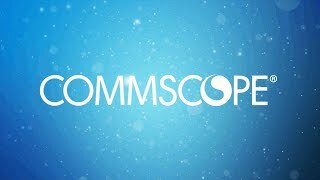 This award recognizes individuals who are distinguished by the depth and consistency of their technical contributions throughout their careers at CommScope. 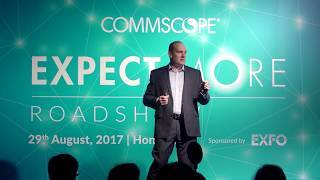 In this video, Hashim talks about his years with CommScope and how the world of technology relies on his innovations. The 2018 Lifetime Achievement Award—Patent was given to U.S. Patent Number 7,298,233: “Panel Antenna with Variable Phase Shifter” by inventor Dr. Martin Zimmerman. Zimmerman accepted the award for this patent granted in November 2007. 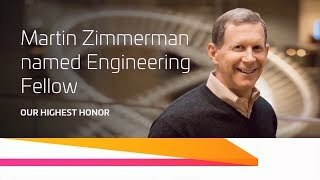 In this video, Zimmerman discusses what innovation means to him and how his patents are being used in the industry today. Base station antennas are a critical component in radio access networks (RAN) of all generations. 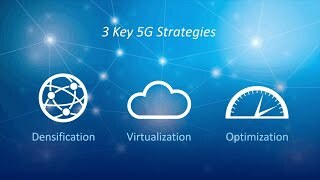 In 5G, more spectrum bands including millimeter wave, more antenna ports and Massive MIMO capabilities will make antennas more complex. 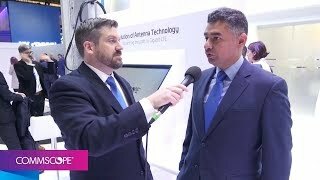 Kevin Linehan, vice president, Office of the CTO, CommScope explains what antenna technology in the 5G era will look like and the challenges yet to be overcome. Learn about HELIAX FiberFeed pendant and how this advanced plug-and-play solution helps accelerate fiber-to-the-antenna (FTTA) deployments. 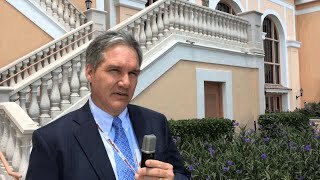 Mark Gibson, spectrum management expert for CommScope and board director for the Wireless Innovation Forum, explains the Citizens Broadband Radio Service (CBRS) and how a Spectrum Access System (SAS) will manage the shared spectrum. Speed is important in a network; however, how does a network handle all this demand for bandwidth? 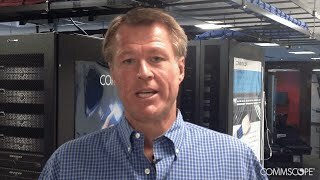 Data center managers need to quickly grow their data center’s capacity and CommScope’s High Speed Migration platform provides a long-term strategy for supporting higher speeds and emerging applications. Members of our PartnerPRO Network—Shiv Deviah of Lantro and Ketan Kothari of Sigmabyte—provide us some insight on High Speed Migration’s importance in the industry. Chinnee Tong, VP, Service Provider, Greater China and Korea, explained more on how LTE-U and LAA make carrier-controlled use of unlicensed spectrum possible, and how twin beam technology will significantly help operators increase capacity without substantially increasing costs. Before there was a company called CommScope, there was the Superior Continental Corporation, a manufacturer of coaxial cable for small independent telephone companies. One of the products manufactured in Superior’s Catawba, N.C. facility, which opened in 1967, was a struggling product line called Comm/Scope. In 1976, Frank Drendel led a group of investors to acquire the Comm/Scope coaxial cable division from Superior and founded the company that today is known as CommScope in Hickory, N.C. Drendel focused his early efforts on the fledgling cable television industry. The CommScope coaxial cable produced in Catawba would later help change the face of the cable television industry. 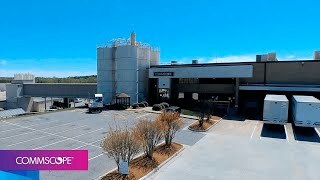 As it observes its 50th anniversary, the Catawba facility is the largest hybrid fiber-coaxial facility for broadband networks in the world. This ISO9001-certified 1 million-square foot facility employs more than 500 people and produces more than 344,000 miles of cable every year—enough to circle the earth more than 8 times. Employee longevity is a cornerstone to the facility’s success. The average year of service at Catawba is more than 20 years, with a total of more than 12,000 years of experience employed. Besides manufacturing innovative network solutions, Catawba is also proud of being “green.” Established in 1988, the site’s award-winning ReelSmart Recycling Program enables CommScope to save more than 20,000 trees by reusing more than 100,000 cable reels every year. 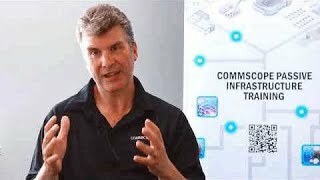 What Do You Get from the CommScope Infrastructure Academy’s Passive Infrastructure Training? Data must get from point A to point B. It doesn’t matter how it gets there as long as there is a trusted and reliable network infrastructure in place. Find out how passive infrastructure is driving that push for data from the CommScope Infrastructure Academy’s James Donovan. 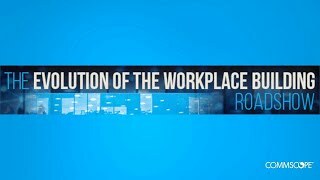 CommScope hosted “The Evolution of the Workplace” workshops in four U.S. cities in August 2017. These events included presentations by intelligent building experts from CommScope, Navigant Research, IBM and JLL. The goal was to help building owners and operators, IT and facilities managers, commercial real estate managers and consultants stay abreast of network trends and learn best practices for deploying intelligent building infrastructure. If you deploy end-to-end network solutions, then you want to make sure your employees are properly trained. It sets yourself apart from other companies and gives you a competitive advantage. Not sure? 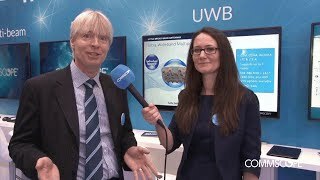 In this video, Colin Peter Massey, product manager, Wtec AG, explains why his company implemented training courses from the CommScope Infrastructure Academy. 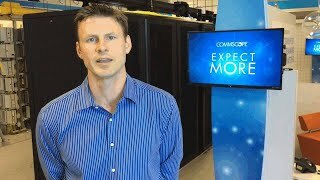 In this video, hear from our CommScope’s experts as they share how you can modernize your data center to meet tomorrow's bandwidth demands. If you don’t know about our PartnerPRO Network, then it’s time for us to introduce you to it. Made up of certified partners and installers, they deploy the right solutions to help your networks evolve. 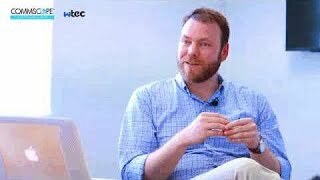 In this video, partners from Computacenter, Sigmabyte, Lantro, CECCO, and Equinix talk about the benefits of the PartnerPRO Network. To address a shift in the data center market, CommScope formed the Multi Tenant Data Center (MTDC) Alliance as part of its PartnerPRO™ Network. 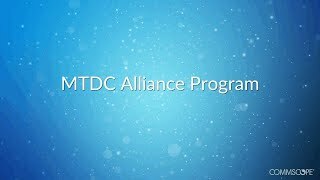 The MTDC Alliance members offer optimal network infrastructure solutions to customers who need to deploy this technology in multi tenant environments. By leasing third-party data center white space, enterprises can remain focused on their core businesses while enjoying optimal data center availability, reliability and cost control. This trend toward deploying MTDCs continues to grow. 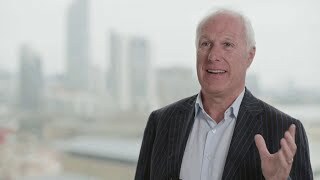 In this video, Stephen Kowal, senior vice president, Global Partners, CommScope; Angela Haneklau, vice presidnet, Enterprise Sales, CommScope; John Schmidt, leader of CommScope’s Global Data Center Solutions Group, and Steve Abraham of Equinix (a founding member of the MTDC Alliance) provide you with some insight into the market and why this Alliance is important now. Ever had a great property manager? It’s someone who acts as the go-between with a landlord and a tenant, gets stuff done and makes sure no one gets a raw end of a deal. It’s kind of how we think of ourselves with our MTDC Alliance. The shift towards connectivity has created a huge opportunity for our partners to deliver superior customer service in the 21st century business environment. 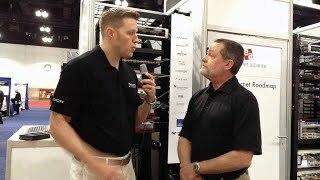 This video showcases how Cablelines is differentiating themselves via the PartnerPro Network. 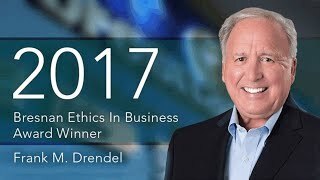 Frank M. Drendel, chair of the board and founder of CommScope, was named the 2017 Bresnan Ethics in Business Award recipient during the 20th annual Cable Hall of Fame celebration, held April 26 at the Grand Hyatt Washington in Washington, D.C. The award honors the late William J. Bresnan, founder and chairman of Bresnan Communications and longtime chairman of the board of The Cable Center. In this video, Frank reflects on the cable industry and what it was like to win this award. Some of Frank’s fellow employees also provided some insight into the man and shared a few stories. SnapStak Plus hangers are designed for the increased fiber cable deployments occurring in the wireless industry. SnapStak Plus hangers are unique in their ability to adjust to various cable diameters, enabling one hanger to support a range of cable sizes without the need to insert a grommet. They reduce average installation time to just 30 seconds per hanger versus 90 seconds to install a hanger with a grommet insert. 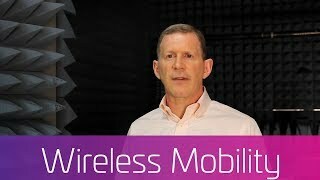 Wireless operators deploying 4x4 MIMO to their networks need versatile, ultra-wideband antenna solutions. 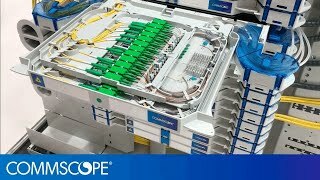 Luc Adriaenssens, SVP of Technology at CommScope, describes Category-6 and Category-6A cabling and connectors. 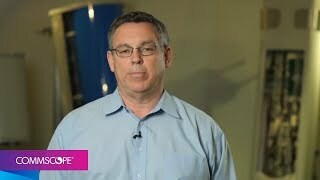 He explains uses for the technology and the impact that CommScope has had on this innovation. The rate of fiber growth around the world continues to grow. One area where fiber growth continues to gain strides is in Latin America. 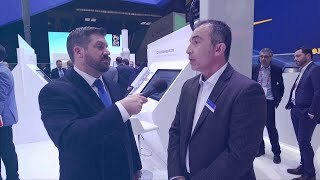 In this video, Joe Depa interviewed Eduardo Jedruch, Network Architect, CALA, CommScope, about fiber trends and obstacles service providers are facing when pushing fiber deeper into their network. 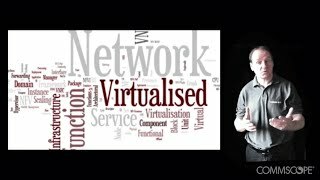 Improved network performance, greater agility, lower costs, and new services – the transformational benefits of Software Defined Networking (SDN) and Network Functions Virtualization (NFV) for service providers are truly compelling. 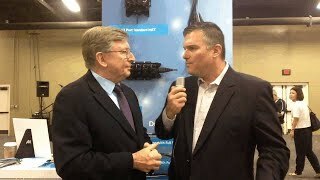 In this video, Joe Depa interviewed Pat Thompson, VP of Central Office and Headend solutions, during the FTTH Connect show in Nashville, TN about how SDN and NFV will have an impact on networks and the Internet of Things. 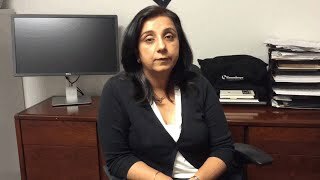 The lack of women in science, technology, engineering and math (STEM) jobs is a topic that Pinder Chauhan, director of global technical support, Distributed Coverage and Capacity Solutions, CommScope, cares a lot about. Pinder helped create a free training program for CommScope’s distributed antenna systems (DAS) platforms for women employed at CommScope partner organizations. The free DAS training is intended to provide new skills to women who might then qualify for new jobs or projects. 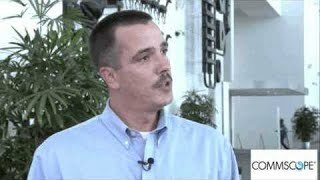 Pinder talks about the CommScope DAS Training Program in this video. 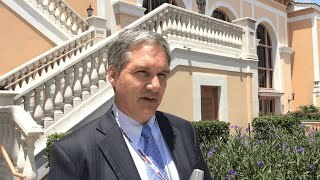 What’s been holding back mass market adoption of fiber-to-the-home (FTTH)? Part of the answer is complicated technology. The industry can accelerate adoption by simplifying the technology. 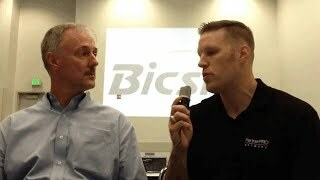 In this video, Joe Depa interviewed Erik Gronvall, Vice President of Strategy and Network Architecture, CommScope, during Gigabit Cities Live 2016 in Charlotte, NC about where FTTH is headed, how important is it getting gigabit services to subscribers and how CommScope can help service providers with deployment. 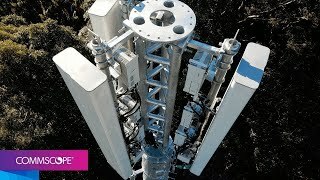 CommScope’s Powered Fiber Cable System gives operators a complete “rack to device” solution for powering and communicating with a variety of remote network devices. Deploying one hybrid power/fiber cable negates any additional electrical engineering – where the fiber goes, the power source follows. 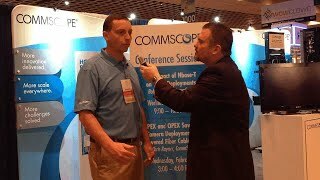 In this video, Joe Depa speaks with Chris Raynor, product line manager, about CommScope’s Powered Fiber Cable System. Industry experts are predicting a staggering number of Internet of Things (IoT) devices will be on the network by 2020 with predictions ranging from 21 billion to 50 billion to 200 billion. Even more impressive than the sheer number of IoT devices are predictions around the economic impact that the IoT can bring. 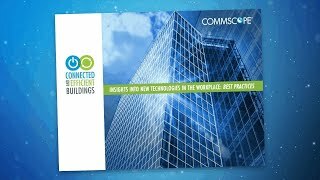 In this video In this video, Joe Depa speaks with Vince Sumrall, technical manager, CommScope about enabling IoT within the building requires proper planning and design and attention to the relevant industry standards. 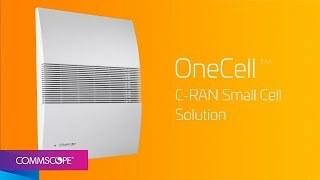 OneCell C-RAN Small Cells are an enterprise LTE solution, based on a Cloud RAN architecture, which enables cell virtualization and delivers a superior user experience. 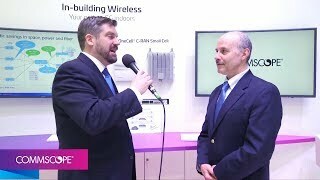 In this video, Bill Walter interviews Mike McFarland about the OneCell’s benefits during the 2016 Mobile World Congress in Barcelona. CommScope’s PowerShift solution is designed to optimize electrical draw by adjusting voltage dynamically to match an operator’s exact RRU power requirements, eliminating the need for a tower-top converter. 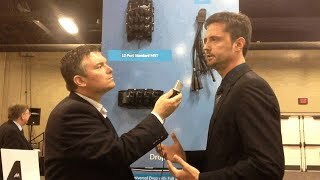 In this video, Bill Walter interviews John Chamberlain about PowerShift’s benefits during the 2016 Mobile World Congress in Barcelona. Building a fiber network can be expensive. Service providers are looking for new ways to deploy fiber to their subscribers. They require innovative technology to meet their subscribers demand for bandwidth. 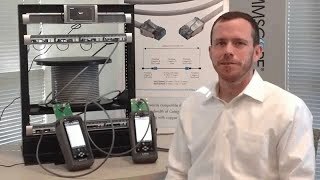 In this video, Joe Depa speaks with Jeff Blatnik, product manager, who explains why service providers should consider deploying fiber indexing technology. In today’s fiber world, multiple service operators demand more bandwidth for their subscribers. 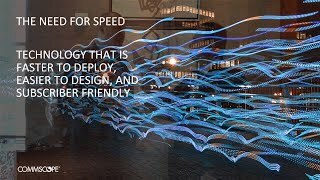 Their engineers require innovations that make it easier and more cost-effective for them to build critical fiber connections for delivering gigabit access speeds. One way engineers can accomplish this is by deploying a fiber distribution hub (FDH). 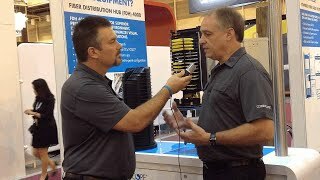 In this video, Joe Depa speaks with Brian Berdan, product manager for CommScope about how the FDH 4000 sets itself apart from other legacy fiber distribution hubs and cabinets on the market. 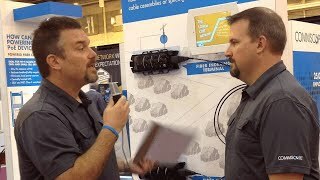 Wesley Bates talks to Joe Livingston, Senior Manager R&D Manager, Fiber Apparatus, CommScope, about a recent demonstration showing how different vendor technologies can work together (interoperate) within a data center at the Ethernet Alliance booth during the 2015 OFC conference. Sarah Thomas, editorial operations director at Light Reading, interviews Pinder Chauhan, director of global technical support, CommScope, about the company’s effort to support women in wireless and involvement in the “new IP.” This interview occurred before the Women in Telecom breakfast panel. 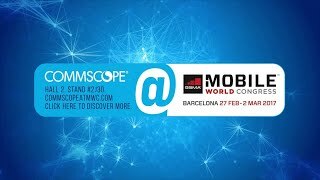 CommScope’s Mike Wolfe, director of technical sales, explains the concept of sector sculpting in wireless networks, a technique for improving capacity and performance. 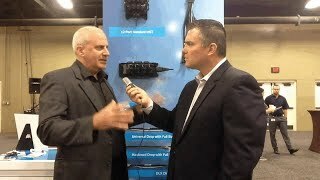 During the 2014 SCTE Cable-Tec Expo, BTR interviewed CommScope’s Kevin Wilkes and Brad Edwards on what cable and broadband operators can do to evolve their networks and push fiber deeper to keep up with their subscribers increasing bandwidth and data demands. For the 2014 baseball season, the Charlotte Knights will play their home games in the brand new BB&T Ballpark in Charlotte, NC. This state-of-the-art facility deployed CommScope's Uniprise end-to-end copper, fiber and coaxial cabling infrastructure enabling high-speed communications functions throughout the stadium. 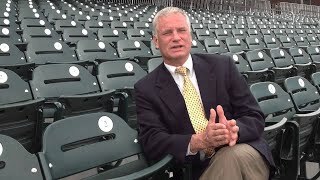 Dan Rajkowski, the Knights' executive vice president and chief operating officer explains what fans should expect this year and how CommScope's solutions helped the team achieve its goal of creating the best possible experience for its fans. Blown microfiber cable is a miniaturized version of a stranded loose tube cable placed in a microduct using high pressure air to assist with its installation. The jacket on microcable is more like a skin rather than the thick protective sheath found on traditional cables. That level of protection for the microcable is not necessary, as it gains its protection in the microduct. Entry into a microfiber cable is still a craft sensitive job. It is much simpler and easier than with traditional cables; however, there are some who are not performing it properly. 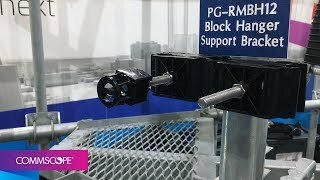 In this video, CommScope's Chris Gemme demonstrates the proper way to enter the microfiber for a mid-sheath entry.